Add natural light and beauty to any room! Our expert skylight installation can turn any dark room into an inviting, sunlit space. Middle Creek Roofing installs quality skylights that will improve the lighting in your home and give your rooms a more open feel. 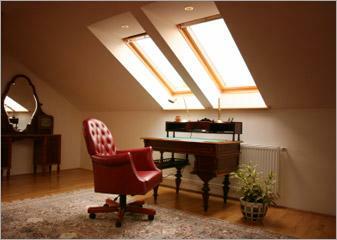 We can provide you with the perfect skylight to fit your needs and match any room in your house. If you want to add a new skylight to your home, give us a call today at 1-717-210-5980 or click below to get started! We offer estimates in Reading, Allentown, Bethlehem, and throughout the surrounding areas. Get a skylight cost estimate today! If you want to install a skylight in your home, Middle Creek Roofing is here to help. We will help identify the best locations to get the most from the window, and we always work with the highest quality products available. 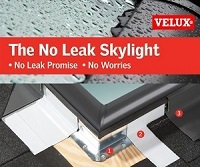 Call us today to get started on skylight installation with an estimate! We offer all our services in Allentown, Reading, Bethlehem, Lancaster, Newmanstown, Lebanon, Wayne, Levittown, Haverford, Chester Springs and throughout the surrounding areas.